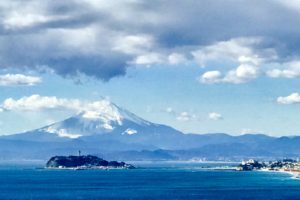 This article was first published by Nishant Annu on his personal blog as part of his series on Kesennuma, Tohoku. 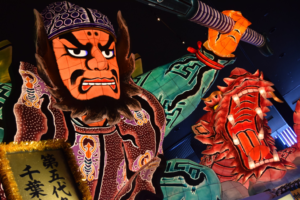 We are very excited to feature his article on Japamigo! Kesennuma is one of Japan’s 13 National Fishing Ports. And everything starts and ends with the Fish Market. So, Kesennuma is a port town. When you’re in an island country like Japan, fishing ports aren’t exactly uncommon. It’s said there are close to 3000 fishing ports in Japan, ranging in scale from tiny: places where small-scale local food producers are selling to their own communities, to massive: ports open to ships from all over Japan which haul fish caught all over the world. And then there are the 13 National Fishing Ports of Japan. These are the ports that Japan considers the anchors of its seafood industry. These thirteen ports are charged not only with bringing in huge amounts of seafood to market, but also with serving as stewards of the fisheries industry and setting national standards for quality. Pacific saury being offloaded. Photo by Shun Murakami. Kesennuma Port is one of these thirteen. Living in this city, you can feel everyday life revolve around fisheries. 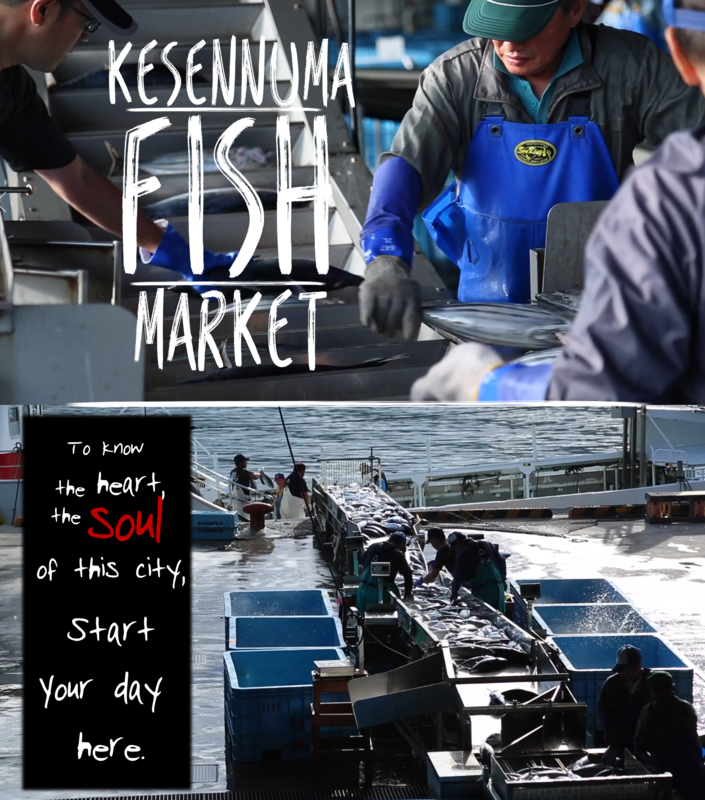 And Kesennuma Fish market, is the heart that pumps life into port. In the wintertime you can see swordfish boats lined up beside the market well before sunrise as they unload their haul to be sold in the day’s auction. 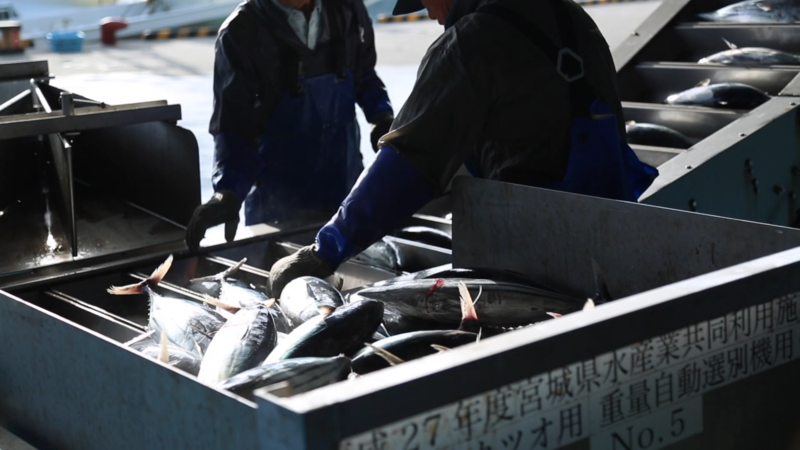 From spring to fall, boats from southern Japan: Kochi and Miyazaki, find their way to Kesennuma in search of bonito (skipjack tuna). 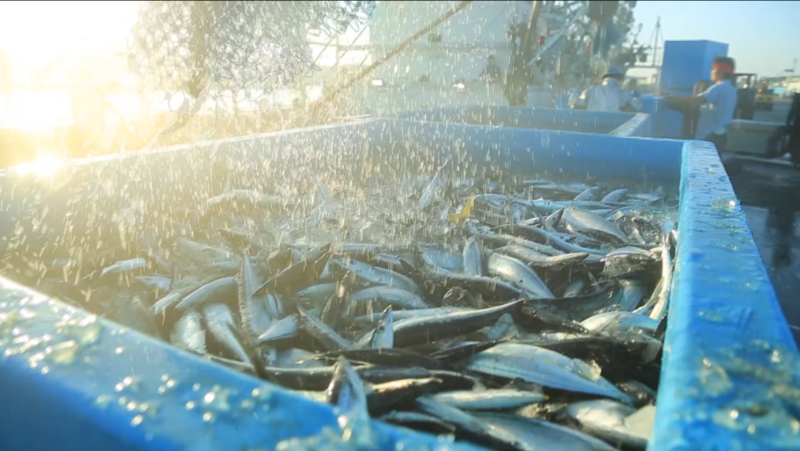 On busy days there’s so much bonito being processed that there are dedicated machines used to sort the fish. Skipjack tuna being loaded into the sorting machine. Photo by Shun Murakami. Every day is different. You might see some young fishermen from Indonesia who sail on the deep-sea tuna boats which are out at sea from 10 to 14 months at a time. Or you might run into some older local fishermen who make their livelihood from stationary fishing nets which are set up less than 2km away from Kesennuma’s coast. 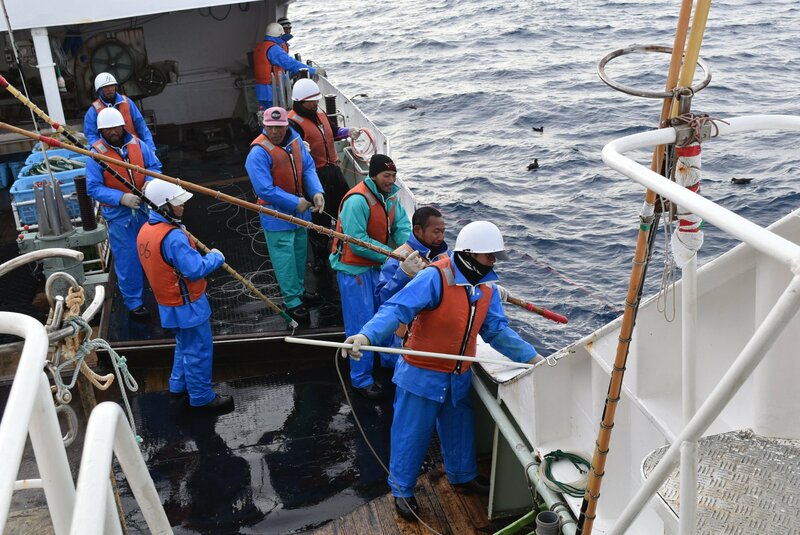 Many of the fishermen who work of Kesennuma’s deep sea fishing vessels are from Indonesia. 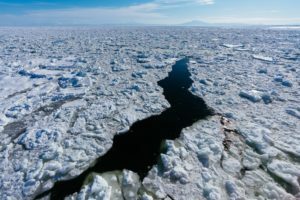 Being a deep sea fisherman is a tough job, as most ships are away for at least 10 months at a time. Photo by Akira Fukushima. Every morning brings a constant bustle of people, ships and forklifts loading shipping containers left and right. Then there’s the blare of the auction bell. A bunch of hardened men standing and scribbling on their notepads as they right their bids. Others are staring at the TV screens awaiting for the results to be announced. Kesennuma’s auction is a silent auction system, so there’s complex strategy at play to be able to by what you want at the price you want. What are the emotions behind those steely eyes as the winners are called. Not one face betrays hints of disappointment or of jubilation. The group disperses in silence and it’s onto the next one. Sometimes it feels like you can drink in the spirit of this city just by standing here. Kesennuma Fish Market is a sight to behold. But what makes it special are the people whose stories are interwoven into the daily port hustle. Like my friend Akira, who makes his keep on a tuna boat which sails 10 months in the Indian Ocean. His ship will be making land in Kesennuma again next February, and I’m sure he’ll be bringing back plenty of stories. 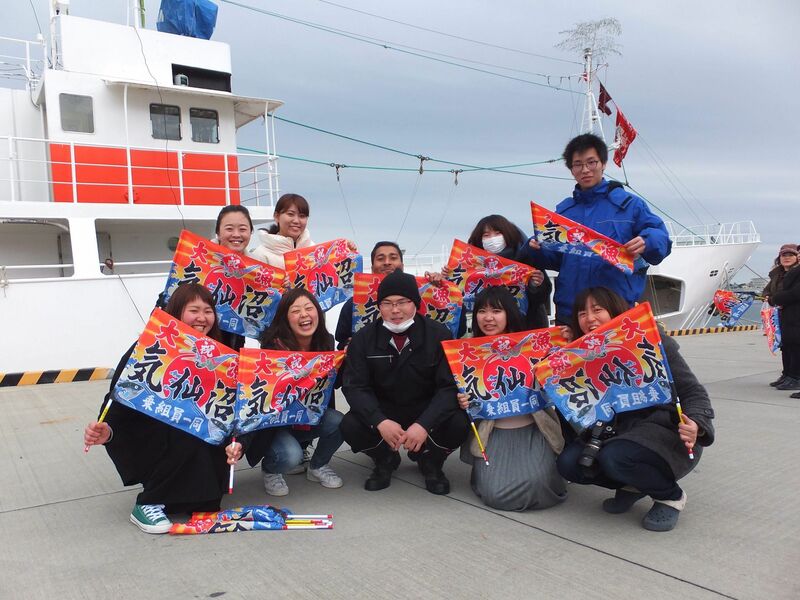 My friend Akira (center) on the day of his departure from Kesennuma Port, April 2018. ﻿ Fixed shore nets are stationary nets which are set up not far from the coastline. (Used from April to December) Fishermen responsible for bringing in the haul from these nets have an early start to their day, generally departing before 4 am to check the net, haul up whatever has been caught and then bring their catch to market before the start of the 7 am auction. You might have had really great Japanese food in Tokyo or in Kyoto or in Osaka. But you won’t have known the whole story until you’ve met the people who are working behind the scenes to deliver quality food to your table: The “Samurai of the Sea,” who call Kesennuma home. 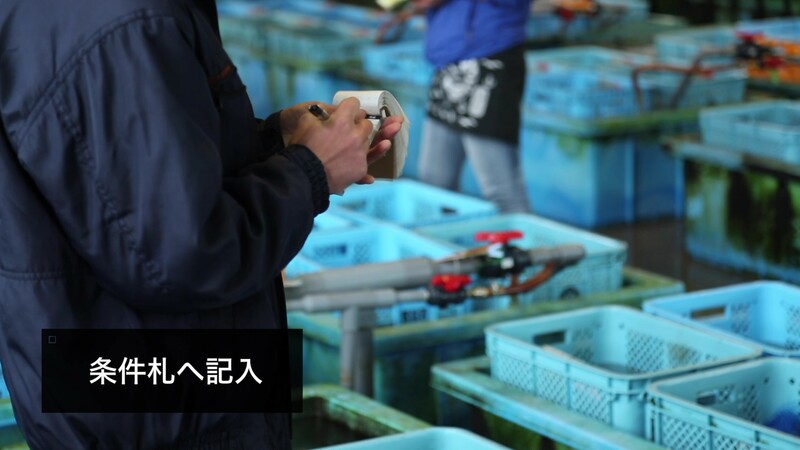 Our office, the Kesennuma Tourism & Convention offers tours of Kesennuma Fish Market from Monday– Saturday, starting at 8 am. 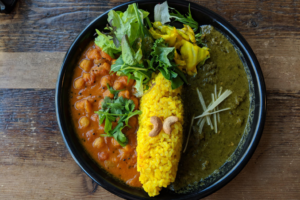 If you’re interested in joining a tour, please reach out to me (nishant-kck@k-macs.ne.jp), or make a reservation online on TripAdvisor. Previous Post‘Hell steaming’: Enjoy a lunch cooked by Mother Nature in Beppu! 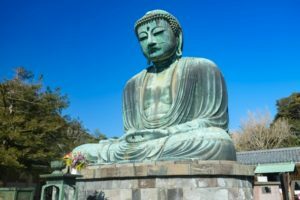 Tokyo day trips: Kamakura in one day! ?